Faroe Express offers an array of domestic and international transport and logistics services including courier, airfreight, warehousing, door-to-door services and more—such as container shipping by sea. Airfreight forwarding and courier service Faroe Express is literally running to further fortify its position in the Faroe Islands. As a business division of Faroe Ship, Faroe Express has successfully developed services tailored for clients in need of safe and speedy freight services and solutions to and from the Faroe Islands, domestic as well as international forwarding. 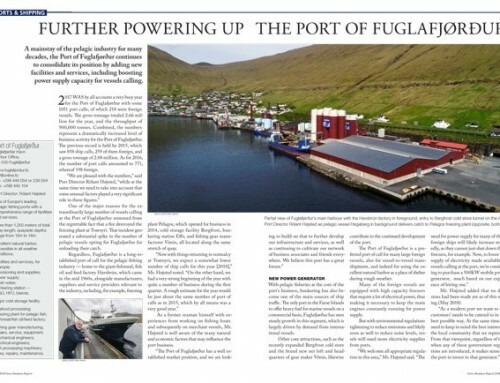 As a vibrant economy whose total population amounts to a mere 50,000 people, the Faroe Islands ships as much as between 500,000 and 700,000 tonnes of seafood to overseas markets every year. All of this translates into a wide variety of derived business activities, generating high demand for a number of services, not least in transport and logistics. 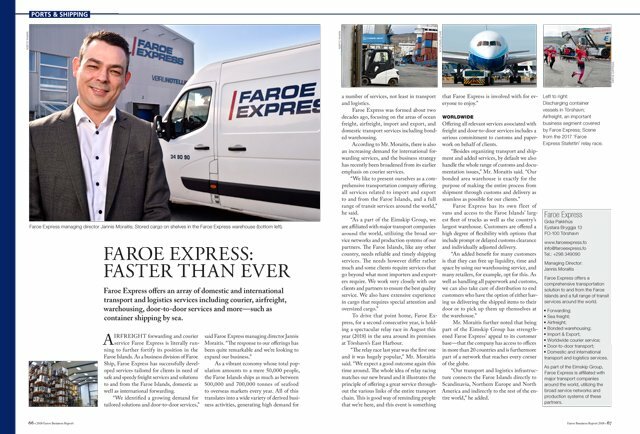 Faroe Express was formed about two decades ago, focusing on the areas of ocean freight, airfreight, import and export, and domestic transport services including bonded warehousing. According to Mr. Moraitis, there is also an increasing demand for international forwarding services, and the business strategy has recently been broadened from its earlier emphasis on courier services. 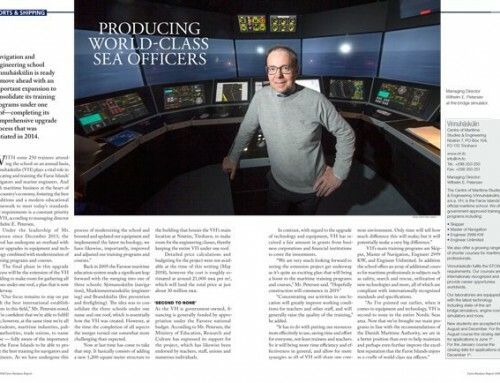 “We like to present ourselves as a comprehensive transportation company offering all services related to import and export to and from the Faroe Islands, and a full range of transit services around the world,” he said. 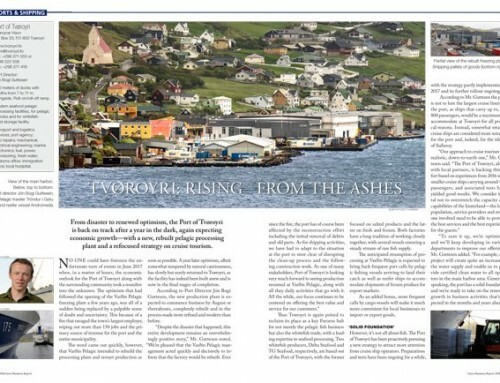 To drive that point home, Faroe Express, for a second consecutive year, is holding a spectacular relay race in August this year (2018) in the area around its premises at Tórshavn’s East Harbour. Offering all relevant services associated with freight and door-to-door services includes a serious commitment to customs and paperwork on behalf of clients. Faroe Express has its own fleet of vans and access to the Faroe Islands’ largest fleet of trucks as well as the country’s largest warehouse. Customers are offered a high degree of flexibility with options that include prompt or delayed customs clearance and individually adjusted delivery. 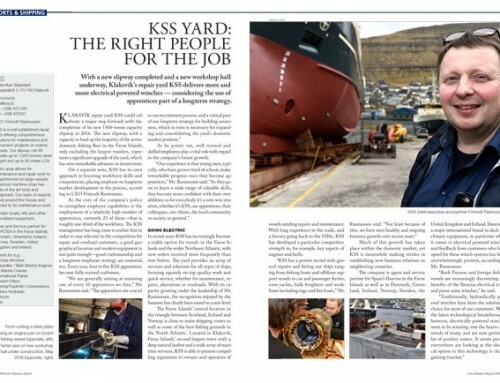 Mr. Moraitis further noted that being part of the Eimskip Group has strengthened Faroe Express’ appeal to its customer base—that the company has access to offices in more than 20 countries and is furthermore part of a network that reaches every corner of the globe. 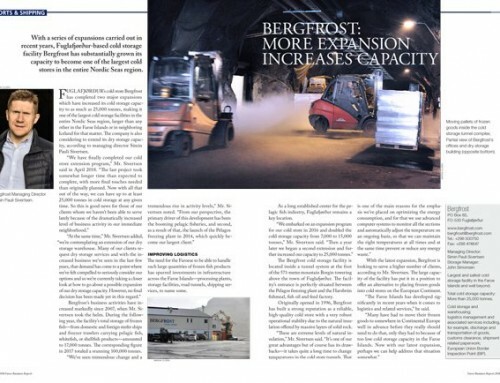 “Our transport and logistics infrastructure connects the Faroe Islands directly to Scandinavia, Northern Europe and North America and indirectly to the rest of the entire world,” he added.